The Jero Pro Series TR line was designed and constructed for commercial use and abuse. The blade is constructed of a high-carbon German stainless steel, that holds an edge, but still is not too hard to resharpen when needed. The handle features a dual density injected molded construction. The first layer, or inner layer, is constructed of a dense polymer that is molded onto the tang and handle for extra strength. A second, or thick outer layer of Santoprene brand soft textured polymer is then injected onto the inner layer forming a seamless bond that provides a rubber like traction. 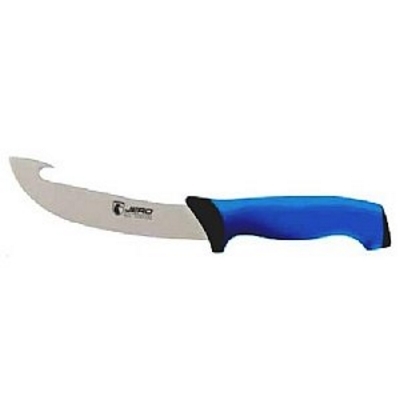 High-carbon stainless steel blade for long edge life, strength, while still maintaining the ability to resharpen when needed. Rubber like outer handle material for extreme grip and comfort for all day work. Jero is a leading commercial cutlery manufacturer, producing quality products for commercial and home use. 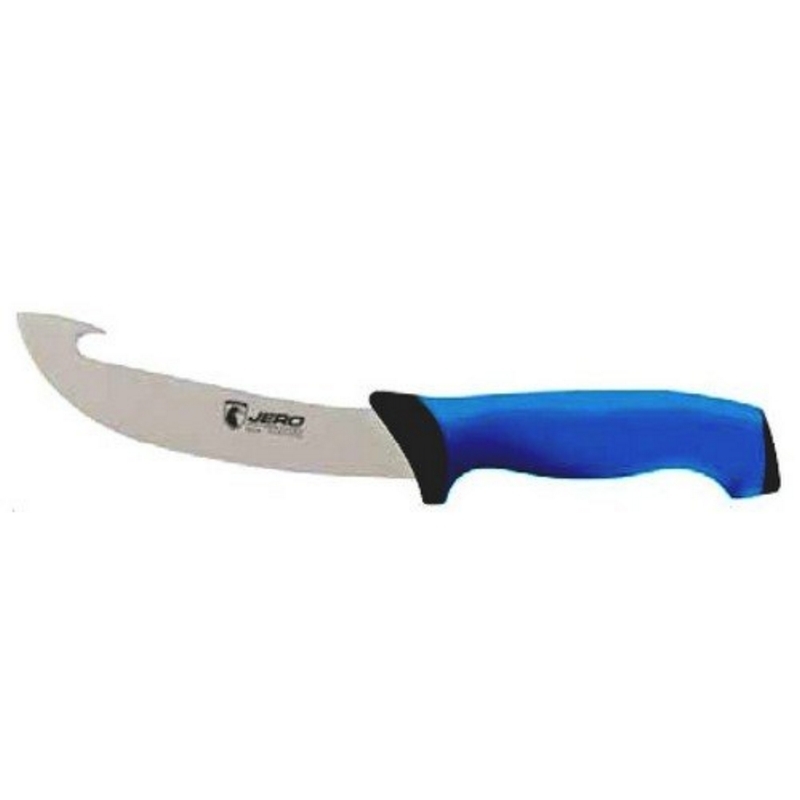 Jero is also a leading private label manufacturer producing knives for many of the largest and best known knife brands worldwide.